SR: Well, let’s see- I’m twenty-four and living in Des Moines, Iowa. It’s not exciting. I’ve been a fan of reading since I was a young girl, thanks to my Mom and Grandma, who were also big readers. I started writing as soon as I figured out how to put stories together, and a lot of my first books were me pretty much plagiarizing Ann M. Martin and The Baby-Sitters Club. Thankfully, I now realize how to create my own characters, and am getting ready to publish my first novel, Destined to Fail. And I will never turn down ice cream. RG: That's an interesting pledge to make! *wink* I can never turn down chocolate brownie with scoops of ice-cream on the side. *laughs* Why blogging about Chick Lit? SR: Because it’s what I like to read. Two years ago I had some extra money, and wanted to do something productive with it. I used it to hire a website developer to create my blog, and think it’s the best investment I’ve done so far. I was reading about two books a week, but had no one to talk about them with. My mom is still a big reader but not really with the chick lit genre, so I had all these thoughts and comments about books that I wanted to do something with. So why not start a blog? I’ve been so lucky in my adventures so far, because chick lit fans are some of the best around. I’ve made so many new friends in my two years as a book blogger. RG: Since when have you been blogging? SR: It will officially be two years in October. I celebrated one year with a big giveaway last year (basically me cleaning out my bookshelf)! I hope to do the same again in a few months. RG: Tell us about the layout/design/title of your blog. SR: I didn’t have a lot of say in the layout and design of my blog, because I hired Jessica with Buy Niche Blogs to do that for me. I had no idea where one begins with a blog, and I’m really thankful for Jess for everything she did for me. Not only did she build the site, find the wonderful blonde girl and pink polka dot background, do the confusing work of keywords and SEO, but she also taught me how to post to my blog, insert pictures, and make changes. I know I could have found tutorials online, but she helped me every step of the way. 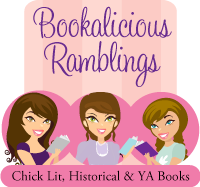 The title, Chick Lit Plus, came because I think my site is more than just a book blog. I do the reviews, author interviews and guest posts, book giveaways and In My Mailbox, but I also write my own articles on health, beauty, fashion, fitness, and celebrity news. 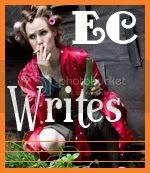 I love doing the research and writing these articles, and these are topics that a lot of chick lit fans enjoy reading about as well, so you get a double whammy on one blog. RG: I agree it is a great idea to have a variety of topics on your blog, so readers do not get bored. I mix my book reviews with music, movies, travel and celeb reviews. I think it keeps me motivated too. Apart from providing reviews, you also arrange blog tours for authors, where did this idea come from? How has been your experience so far working with authors and bloggers for co-ordinating “blog tours”? SR: I was really wanting to do something more with my site, but I wasn’t sure which way to turn. Blog tours were already becoming popular when I decided to start CLP Blog Tours, and I had participated in many myself already with bigger publishing groups. But I was getting a little annoyed at the informal emails I was getting: asking me to read and review a book within three days, asking me to pimp a book on my site without offering a review copy (can you figure out who I’m implying?) or asking me to review books that are not a genre I read. I decided to put my relationships with bloggers to a good use, and start my own services for blog tours. I aim for mostly the chick lit genre, but accept a variety- like romance, mysteries, and contemporary fiction. A lot of the authors I work with are self-published, or who have published with a smaller company and need someone to help market them to the public. I try to keep my prices low so many authors can participate and I can help spread the word about their books. Too many great self-published authors are getting hidden out there because they don’t have the time or the connections to get their books on book blogs, or reviews on sites like Amazon and GoodReads. RG: I must say I had a great time co-ordinating with you for Amanda’s blog tour. Your professional yet down-to-earth attitude is what I really appreciate! Now, coming back to the blog; you also have lots of other categories (Health, Style, Beauty etc) on your site. How do you find time to write such varied posts? SR: I love these articles because they are all something I am interested in. I am constantly on the search for my favourite mascara, love trying new workouts, struggle at times with my diet, etc. I want these articles to be personal, to show my readers how I figure out certain problems, anything from fighting blemishes to making smart eating choices. I read a lot of magazines like Shape and Fitness, and pull articles that I find from there that I can expand on, or offer my two cents on. The other article ideas come from what I am going through- like when I couldn’t decide if a margarita or a daiquiri was the healthier choice. You know- those important decisions. RG: You also offer editing and proof-reading services to authors. Did you take any courses/training before starting this on professional level? How does the whole process work? SR: A small regret I have in life is choosing business school for a college. When it came down for me to choose, I knew I really wanted to study courses such as journalism; I wanted to write books. But I thought that was a fantasy, like going to Hollywood and becoming an actress. I didn’t think I had the talent in me to follow my dreams, so I took the more practical route and got a business degree. I say this is a small regret because I learned so much in college, met some wonderful friends and even my boyfriend. I have the knowledge on starting and running a business, which has actually really come in handy with CLP as I started to branch out in different directions. But to answer the question- no, I really have not had any formal training for editing. I took a few online courses before I started, read a lot of books on editing, and took on a few clients with charging them a cent, and asked for their feedback on how I did. The internet can be a scary place- you can literally be anyone you want to be. Anyone could pose as an editor, make a fake website, and charge you hundreds of dollars. I have CLP as my reference- I think it is easy to see from my 200+ book reviews that I care about books and I care about writers. 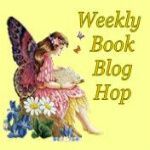 I’m online every day, blogging and using social media to interact with other book lovers. Another thing I will say is that editing comes very easy to me. Even before I started my freelance work, my eyes automatically gravitated towards errors while I read. My mom is the same way- and she still emails authors to let them know that on page 202 they used “your” instead of “you’re” or any other mistakes she finds. When someone contacts me for a quote, I like to get to know them first- assuming I don’t already. I’ve had a few clients come to me with their manuscripts after I’ve reviewed their previous books and made suggestions. I explain how I edit, what I look for, what you will get from my services, how long it will take me, all of the basics. 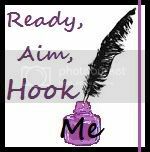 I offer a lot of different services, from line edits to proofreading, to query letter critiques to writing up a readers guide, and try to be as flexible I can with all the individual needs. And I love keeping in touch with the writers I work with. Expect to get a lot of “hey, what are you up to now? Taken any good vacations lately?” emails from me if we work together. RG: Building good relationships whether professional or personal, goes a long way! I think it is more important to be "human" than just a blogger. Since you read unpublished manuscripts, what suggestions would you give to authors regarding editing? What mistakes do you find very common in most manuscripts and how can authors avoid them? SR: I focus a lot on the dialogue. I think dialogue can make or break a story. Too much or too little can be detrimental, and it can be difficult to find that fine line. I think it’s important to watch that your characters are never speaking the obvious to one another, like little details or constantly saying the name of who they are talking to. We don’t really talk like that, so your dialogue shouldn’t be that way. And commas! Stop with the commas. We also don’t speak with a pause after every three words, so your dialogue shouldn’t read that way either. RG: I hear you but while some authors have a natural talent for dialogue, others are more good at descriptions. So, I think both things count. What matters in the end is, how effective the author has been in conveying the story to the reader. What tools (dialogue, descriptions, imagery etc) he/she uses best also depends on the kind of story he/she is telling. Moving on, how do you define a great book? What qualities it should have? SR: I want to feel something each time I finish a book. I want to feel empowered, taught a lesson, something to let me know that this book was a good use of my time. Books saved my life, and I truly believe that. They taught me about life, love, family, school, but they also taught me how to make the right decisions, introduced me to my love of travelling, and how to be a good friend. I’m someone who doesn’t come from the best childhood, and my books were my life back then. They made me feel like I could do anything, I could handle anything. Even though (I think) I have turned out to be a pretty good adult, the books I read now push me even further. They make me think, they make me cry, they keep me focused on always pursuing my dreams. And yes- I’m talking about chick lit here. In every good chick lit book there is a lesson to be learned. You just have to be open to finding it. RG: Yes, totally agree! Books have a deep impact on those who like to think and contemplate over things and find inner meanings as compared to those who just finish a book and then forget about it. When you review a book, what is your prime focus: cover, title, plot, characters, etc? SR: My main focus is the plot. Like what I talked about above, I want to feel something, I want to learn something from what I read. The characters are a big thing for me, I like well defined characters that will touch my heart and make me laugh. It always helps to have a catchy title and a good cover though. I know we can’t always judge by the covers, but one of the first chick lit books I picked up was only for the cover- pink with confetti everywhere. I love it. SR: Both are really important. If the beginning starts off too slow, it can be a challenge to keep picking the book up and reading. And if endings are too rushed, I often feel cheated, like I just took all this time reading the story and then it ends in a flurry of crazy activity and it’s done. There’s a fine balance that writers need to achieve with the beginnings and endings. I re-wrote my opening and closing chapters for Destined to Fail so many times that I wanted to scream, but it’s worth it. RG: I so agree with you on this. I think a good beginning grabs the attention of the reader and nothing gives more satisfaction than seeing the book end with a page-turning climax resolution. Your favourite character from any book and why? SR: Holy hard question! I really couldn’t pick one favourite. An early fave would have to be Kristy Thomas from The Baby-Sitters Club, for giving me the idea to start my own club and work hard even as a young girl. Then of course there’s Jessica Wakefield, who gave me a fashion sense and a wild streak when I was in high school. As I’ve gotten older, I’ve really gravitated towards characters who appreciate life, make me laugh, and aren’t afraid to make mistakes along the way. Some favourites include Rachel from Something Borrowed, Georgia from Georgia’s Kitchen, and Jenny from Girl in a Spin. All books I recommend as well! RG: List one blog you read first thing in the morning. SR: I always enjoy reading Chick Lit in Not Dead. Liz and Lisa are so funny! 1. Keep posting. I post at least one new article on a daily basis, sometimes more. Keep bringing your followers back. 2. Always use pictures. They’re plain fun to look at, and will please the eye of your reader. 3. Make it personal. When I first started, I wrote my articles very stiff and formal. That didn’t last long. Blogs are supposed to be personal. 4. Get a spam blocker. I didn’t do this when I first started, and can’t tell you how much time it took me to go through all my comments and click SPAM on each one of them. Now the computer does it for me. 5. It sounds simple, but make sure you’re writing about what interests you. If you’re not, you’ll get bored quickly and your blog will fade away. RG: What are the things to take care of when hosting a giveaway? SR: It’s important to mention if a book you are giving away is a print copy or eBook. Not everyone has eReader capacity. Also, be sure to include if there are any restrictions on where the winners live. Many authors will tell me US or Canada residents only, but if they don’t, I put “open worldwide” on there so everyone knows they can enter. And be sure to put when the contest ends, or else you’ll constantly be getting entries long after the giveaway has wrapped. SR: Lots of giveaways! I now am hosting two or three giveaways a month, and they are a lot of fun. I am also offering an editing special each month, and plenty of blog tours that bloggers can sign up to be a part of. And the Chick Lit Reading Challenge, I can’t forget about that! Readers can win prizes each month for posting reviews of chick lit books they read. 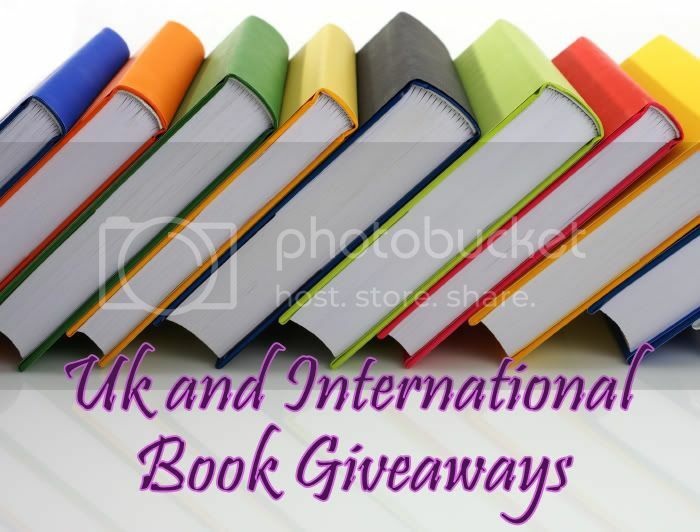 I’ve been lucky to have so many fantastic authors offer up their books for prizes! RG: Now when I know that you are going to publish your first novel soon, I am curious to know more. What is the story about? Is it a Chick Lit? SR: I feel like I’m getting closer, inch by inch. My first novel is titled Destined to Fail, and I’m aiming for the end of the year for that to be published. It’s not chick lit, because I really don’t think I’m all that humorous. But it does focus on a young college student going through life and all the curveballs she is handed- abuse, addiction, pregnancy, and how she finds a way to save herself and her friends from all the forms of evil that exist. I want to write books that focus on women and challenges they are facing. My hope is that maybe another girl who is going through something similar will take away something, anything, from my book and find help, comfort, or just a way to reinforce that life is what you make of it. Never give up. SR: Can I say Italy? I’ve never been there before, but it’s on the top of my travel list! 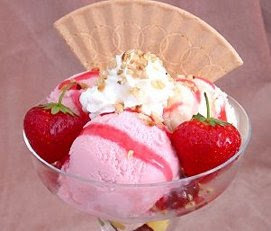 SR: Ice cream. Followed by Mexican. SR: My living room. I can turn it into my own gym when I work out, my office when I need to get work done, and a room where the BF and I can hang out together when we aren’t so busy. SR: The best things we can have. No matter if it’s your family, friends, or a loved one, treasure them all. SR: Estee Lauder’s tiramisu lipstick. Light pink and girly, my fave. SR: Anything Victoria Secret. I have three bottles sitting on my dresser now. SR: Ice cream. Can you tell by now? And work. I’m a workaholic. RG: List 5 things you always carry in your purse. SR: Phone, Allegra (dang allergies), a book (my Kindle fits perfectly), gum, and a koozie. Never know when you’ll need a koozie. RG: I found some delicious recipes on your site. Would you like to share any of your favourite recipes with my readers? SR: Ooh, I’m so glad! I’m actually terrible at cooking and baking. And just being in the kitchen in general. I started adding recipes as a way to help myself- it gets boring alternating between a turkey sandwich and mac n cheese every night! I’m a big salad lover, and love to try new variations, and one of my favourites is the Chicken BLT Salad with Buttermilk Dressing. Yum! 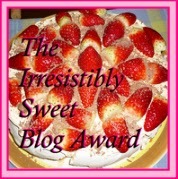 RG: Thanks so much for joining me on my blog today. I had a lovely time chatting with you! 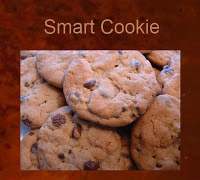 I am heading over to your blog to read this mouth-watering recipe. SR: Thanks for having me Komal! RG: To visit Samantha’s blog, click here. Such awesome tips for bloggers ;) Great interview. I have Given you an AWARD.. come get it! Great hearing this! It is inspiring.